A key foundational element of happiness is to be honest with yourself. Well, I am a desert rat, a dry roasted nut that eagerly awaits the first one hundred degree day. I accepted this long ago. Still, there are those occasions when I entertain the thought of a more normal life such as on a small farm in the foothills of the Ozarks in Missouri or among the glaciers of Alaska. Usually these thoughts are ignited by a road trip and are quickly dampened by the second day of that journey when the craving for a dry heat (similar to that found in an oven), a stunning sunset framed by spires of stone, or just the solitude of an empty place with an unbroken view of a vast empty plain corralled by snow covered peaks begin to stir something similar to hunger pangs. I love to travel, I love to meet new people and see different places, I love to share these things with my dearest friend but there is no place like home, that special place where it seems as though it were designed by God with you in mind. This morning when I set off for work on the bicycle the temperature was just topping the eighty degree mark (at 7:30 AM), the sky was the most brilliant shade of blue, and coveys of quail scattered into the brush as I rode past. It was a perfect morning for reflection and thanksgiving. Our recent adventure on Route 66 was one of the finest we have had in several years. The friendly folks met along the way, the delightful landscapes and scenery, and, of course, mile after mile of Route 66 that has this strange magical power to induce relaxation and smiles. Even though we lean towards the empty places, the places where it is so quiet you can hear your own heart beat, we also enjoy the simple pleasures in life such as a good slice of pie and the easy conversation that can only be found where the locals gather and the visitor is warmly welcomed. Any list of places like this on Route 66 has to have the Midpoint Cafe in Adrian, Texas near the top. For my dearest friend our trip was one of discovery as she had never motored east of Albuquerque. For me it was one of rediscovery, an opportunity to become reacquainted with an old friend. 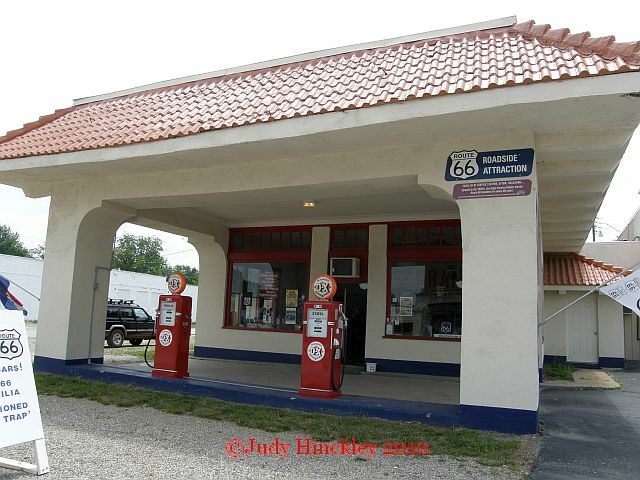 I first traveled Route 66 in 1959, one year after my birth. As noted countless times in the past six hundred posts on this blog, that old highway has been, and continues to be, an integral part of my life. Still, the power this highway has to mesmerize, to enthrall, and to captivate never ceases to amaze me. Oddly enough, those who sing its praises most passionately are from distant shores. Consider this perspective from Australia or this one from Holland. Route 66 is as much a part of my life as driving, eating, and other activities associated with daily life. However, just as it takes the awe of a child to draw your attention to the sunset you see everyday but never see, so it is with Route 66. The essence of our adventure was to gather material for the new book, Ghost Towns of Route 66, but the real reason was to again see Route 66 with fresh eyed wonder. To this end we set the clock back to the 1960s, made but two reservations, and drifted along like the tumbling tumbleweeds. 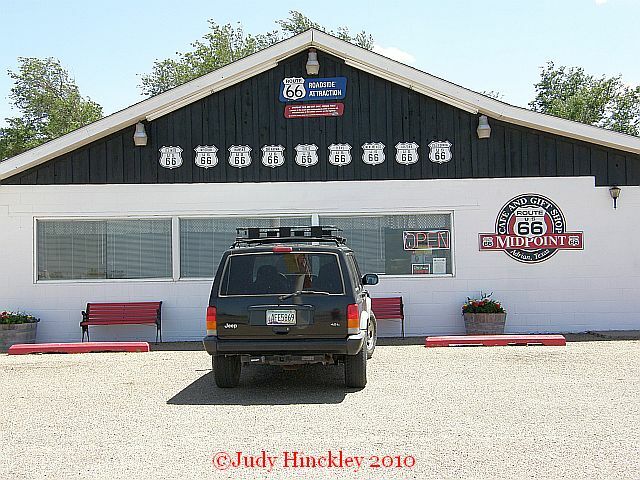 We left Kingman on a Saturday afternoon and as is our custom drove east on Route 66 to the Crookton Road exit. Still, it was the dawn of day two with the first rays of the morning sun brightening our teepee misnamed as a wigwam before the reawakening began. It was as though I had received a new prescription after wearing the same glasses for several years. In an instant the blurriness accepted as normal was swept away and clarity was restored. It was this mornings reflection on the trans formative power of our Route 66 excurison that led to thanksgiving. I am grateful to live in the modern era where I can savor Route 66 rather than endure it. I am grateful that I can visit places where the very bones of the earth are hidden beneath a sea of green but live in a land without pretense, a land made pure by the refiners fire. I am grateful for folks like Laurel Kane, Jerry McClanahan, and countless others who work so hard to preserve this asphalt link to another time for future generations to enjoy. It is with gratitude that I reflect on the blessing that is a lifetime spent on Route 66, a gift for sharing its wonder through the written word, and a dear friend to share the adventures with. If you are jaded, tired, or the world has left you feeling hollow perhaps all that is needed is an adventure on the legendary double six. Perhaps all you need is a little immersion in the magical world that is Route 66. Maybe all that is needed is to while away the afternoon at Afton Station or spend an hour sipping coffee, eating pie, and shooting the breeze at the Midpoint Cafe. 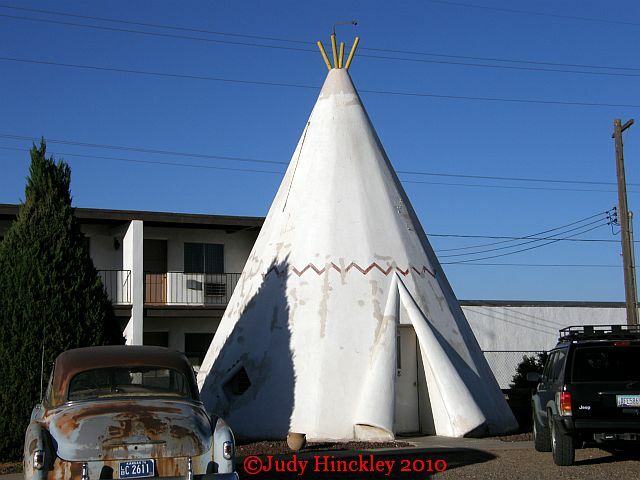 Maybe the only therapy required for full restoration is to wake up in a Wigwam. Onhttp://rcm.amazon.com/e/cm?t=1968adventurer&o=1&p=8&l=bpl&asins=097034077X&fc1=000000&IS2=1&lt1=_blank&m=amazon&lc1=0000FF&bc1=000000&bg1=FFFFFF&f=ifr a final note I have a book to recommend. This fascinating little gem chronicles the evolution of one mans journey of discovery on the back roads of America as he seeks to unravel the story of the legendary muffler men often disguised as lumber jacks. spacemen, and cowboys. I was intrigued by the story and by its telling. I was also inspired by his desire to unravel the mystery without the use of the modern equivalent of a cheat sheet, the Internet.